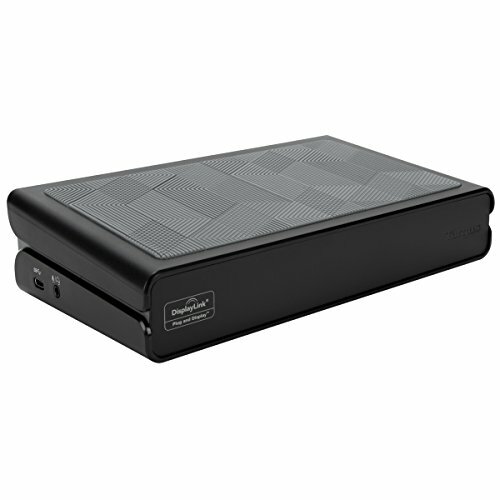 Create a dual beyond HD video workstation — or connect a single 2K monitor — with the Universal USB 3.0 DV Docking Station. It delivers integrated power and charging, and it’s designed to support multiple host platforms and brands for a broad range of compatibility with peripherals and devices. With five USB 3.0 ports (including one that’s high-powered for charging devices and one that’s Type-C), plus an Audio In/Out port for speakers, mics, or earphones, it’s easy to customize your workstation. The integrated Gigabit Ethernet connection is more secure and faster than most Wi-Fi connections. Charging tips are included so that the dock can power most major laptop brands, and they’re all neatly stored within a removable compartment in the dock.